We hand-pick all of our teachers to ensure we work only with the best professionals available. The founder and principal teacher, Alexander, makes the art of ballet accessible to the broader public via the Zhembrovskyy school. His training methodology has been polished by his years of success as a professional ballet dancer and teacher. Alexander has worked as a soloist and principal dancer around the world in various ballet companies like the Bavarian State Ballet, Slovenian National Ballet and the Dutch National Ballet. In 2012 he founded the Zhembrovskyy school, which is today his principal outlet for sharing his passion and joy for dance and movement. Dario is a ballet dancer and teacher with experience from schools and companies such as La Scala Ballet School (Milan), The Royal Ballet School (London), Zurich Ballet (Zurich) and the Dutch National Ballet (Amsterdam). At Zhembrovskyy Dario teaches various classes, such as ZhemFit, Ballet, Stretching and Pointe. "I would love to one day be able to teach everyday so I can transfer all the knowledge I've learned in my career from great teachers around the world. I'd love to help keep the traditions and the style of classical ballet. Teaching for me should be contagious and after someone takes my class I hope they go home thinking they've learned something new which makes them wanting more." Elena is a ballet teacher and freelance dancer. At Zhembrovskyy she teaches Ballet, Pointe, Stretching, ZhemFit and Private classes. She is a former ballerina of the Russian National Ballet (Perm) and she received her training at Perm State Ballet School and the Chelyabinsk State University in Russia. Her classes concentrate on quality of movement, musicality, coordination and are based on the Vaganova classical ballet basis. The aim of the classes is to develop the dancers’ personal knowledge of their own bodies and movement patterning through the prism of classical ballet. "It is great to share my passion for ballet with other people, to get to know new people and to see them improving in ballet every day." Naira is a ballerina at the Dutch National Ballet and she also teaches ZhemFit, Ballet, Pointe, Floor Barre and Stretching at Zhembrovskyy. She trained at the Moldovan Dance Academy and Heinz Bosl Stiftung in Munich. "My aspiration is to always look for inspiration to keep setting new and challenging goals for me and my students, and to share my knowledge and experience with people who are passionate about dance and fitness." Jordi is a physical exercise trainer and teaches ZhemFit, Pilates and Ballet at Zhembrovskyy. He trained at the Dutch National Ballet Academy and is a former ballet dancer with 10 year's experience as a trainer. His passions include music, dance, art, theatre, film and fitness, and his aspirations are to be the best teacher he can be and to motivate and support students in feeling good about themselves and enjoying dance and fitness. "What I like most about my job here? Zhembrovskyy is such a unique and beautiful studio to teach in with wonderful people." Charmaine is a former professional dancer at companies like Sachsische Semper Oper Dresden, Cairo National Opera House and Compania Nacional de Bailado Lisbon. She received her training at the National Ballet Academie in Amsterdam and HBO at Academie Princess Grace Monaco. At Zhembrovskyy she teaches Ballet for both Adults and Kids, Pointe, Floor Barre, ZhemFit and Private classes. "The best thing about working at Zhembrovskyy - except for the great working conditions - is that the students are so enthusiastic, eager to learn, and super nice. There is always a good and friendly work atmosphere! My passion is to be good in what I love most, to inspire people, to bring joy and help them reach their goals or bring them closer to their goals." Claudia is a ballet teacher and received her training at CODARTS Rotterdam Dance Academy, and Mimma Testa in Rome where she was born. She has professional experience from companies like International Dance Theater of Amsterdam and stichtingEns. Alongside her current jobs at stichtingEns and Zhembrovskyy, she collaborates together with international choreographers such as Laura Bernasconi. She was previously working with us as a guest teacher and we are happy to announce she has accepted a permanent position as a Ballet teacher. 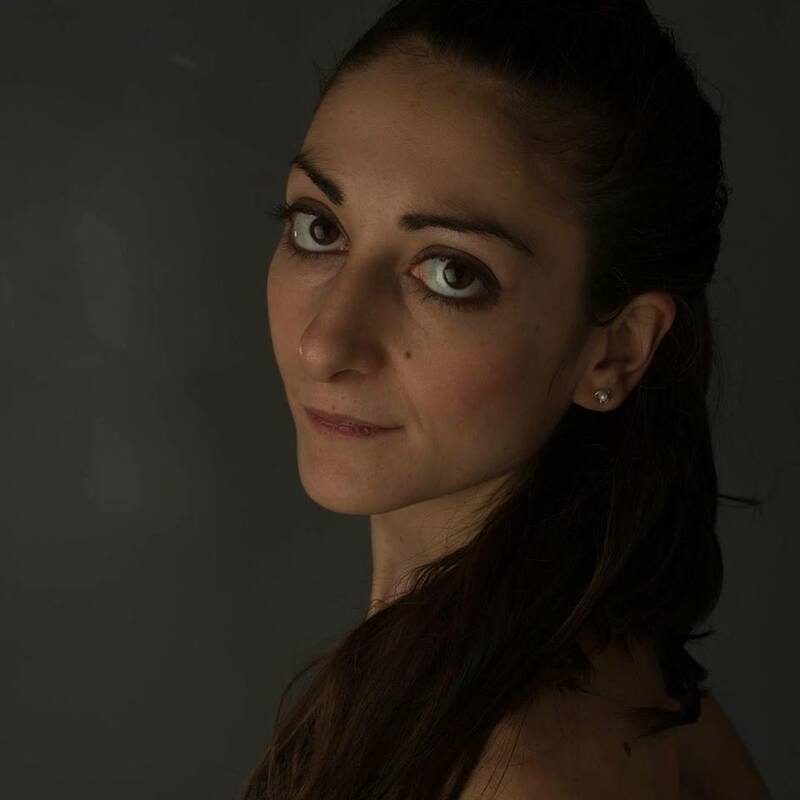 Debora is a ballet teacher from Italy and works as Junior Assistant Director for the National Opera and Ballet. She received her training at the International Dance Theater Academy and International Dance Academy Rome Bartolomei in Italy, Peridance Capezio Center in New York, and Kibbutz Contemporary Dance Company in Israel. She has previously collaborated with Zhembrovskyy as a guest teacher and we are happy to add her to a permanent position as a Ballet teacher. Vera is originally from Russia and currently works as a professional ballerina at the Dutch National Ballet. She has previously collaborated with Zhembrovskyy as a guest teacher and we are happy to announce she has accepted a permanent position as teacher with us for classes in Ballet and ZhemFit. “Seeing my students’ passion for ballet really gives me inspiration and motivation!!! We also work with an extended team of professionals with whom we arrange guest classes, exclusive workshops and events.